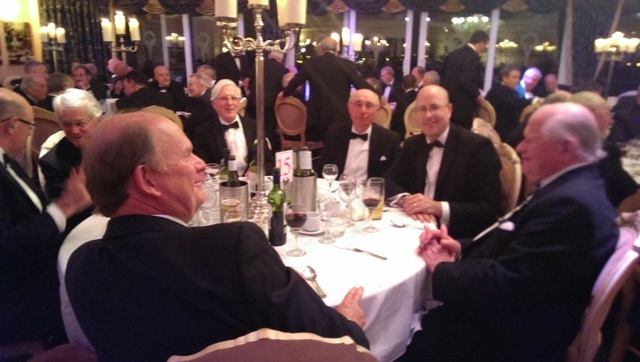 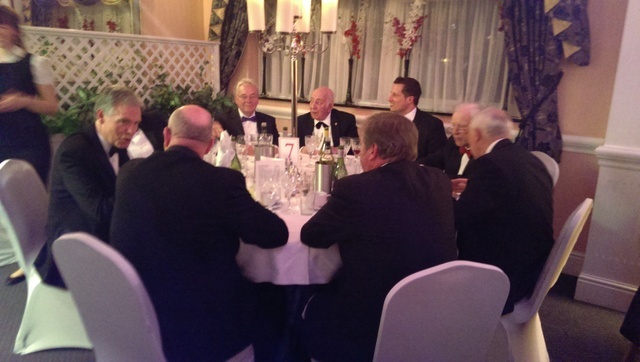 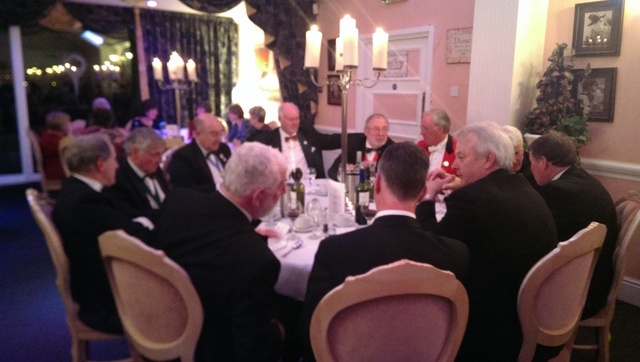 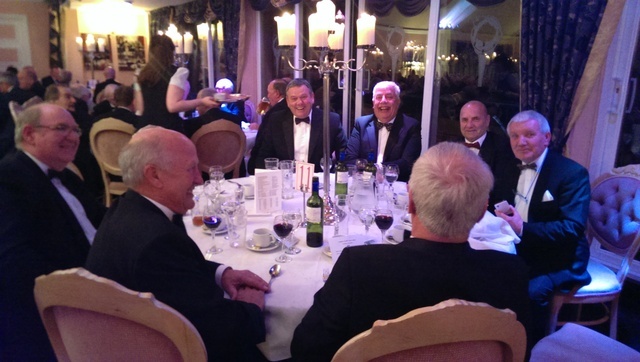 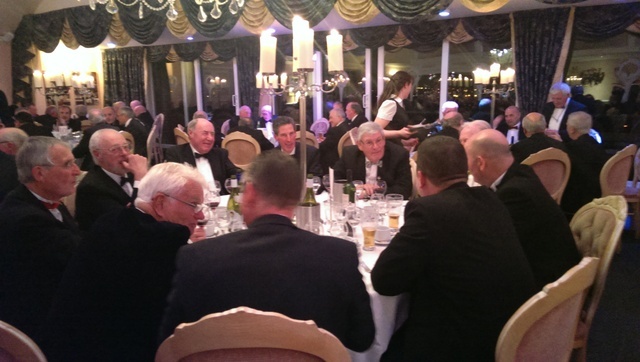 County President John Calver Parkstone GC was at the helm for the 26th Annual Dinner his last before handing over the reins at next week’s Annual Meeting. The Executive decided to come back to Dudsbury GC due to the success last year and we were once more looked after admirably by the staff at Bentley’s restaurant. 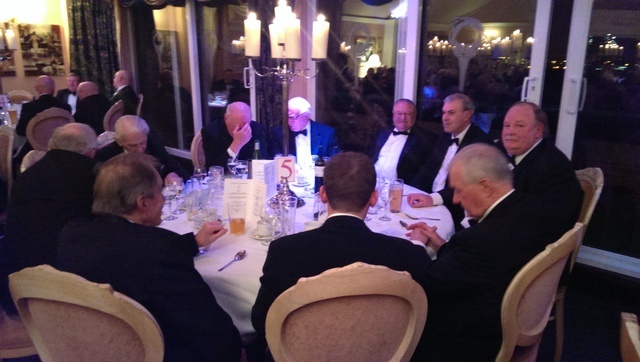 The newly appointed England Golf President Ray Saunders was our guest speaker along with Peter McGovern head Professional at the Belfry for some 35 years. 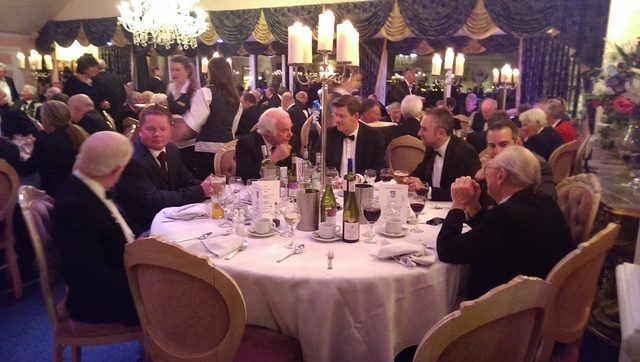 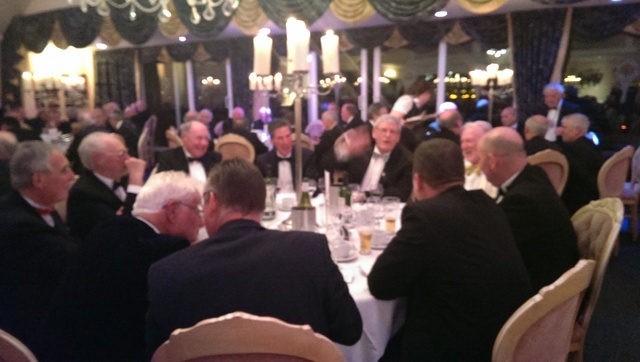 Our guests from around the counties were Graham Yates President SWCGA, David Windebank Gloucestershire, David Richardson Sussex, Barry Morgan Hampshire, IOW and CI, Jim Pocknell Kent, Brian Evans Somerset, Malcolm Jones Cornwall and Simon Marchesi from our sponsors Ringwood Brewery. 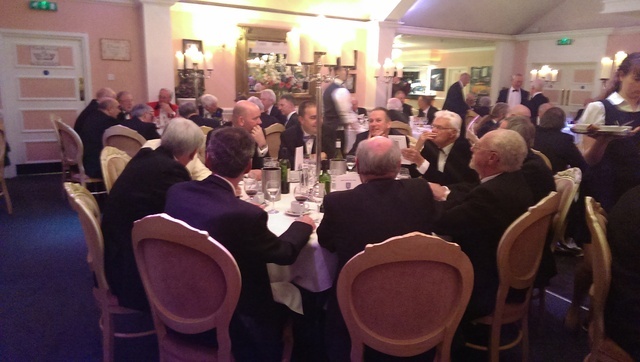 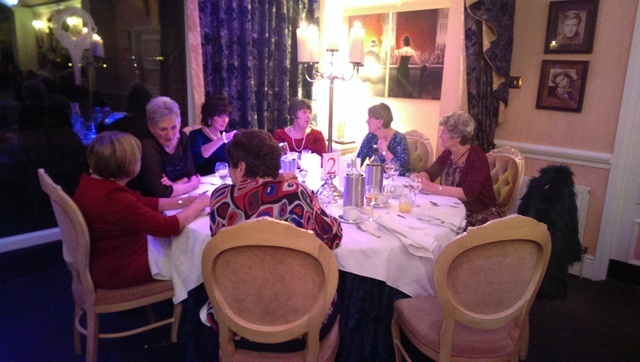 My sincere thanks to all the club members who have once more supported the dinner making it a success night, once more we had a hundred and fifty sitting down to a full four course menu with excellent food and service. 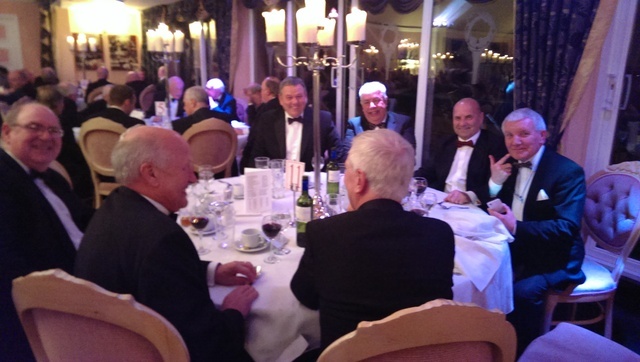 I also thank those who travelled from afar such as Lyme Regis, Weymouth, Came Down and from the North, Ashley Wood. 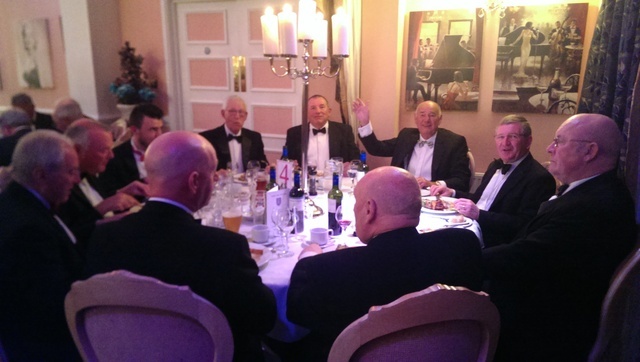 On completion of the meal our Master of Ceremonies Mr Philip Gardner got the main part of the evening under way, with me starting off with the loyal toast. 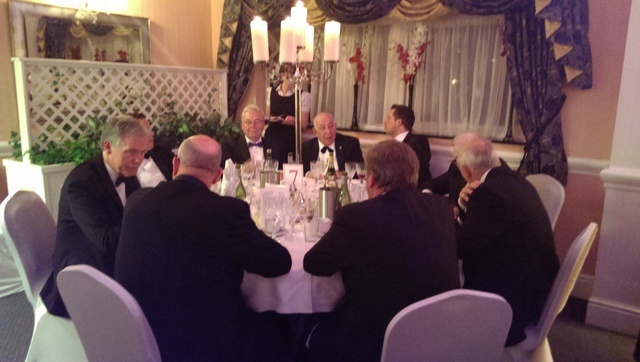 We were then heartily entertained, firstly by Ray who delivered an excellent speech to us all it was very refreshing to hear. Ray was followed by our own President, John who did the County proud delivering his speech eloquently and touching on matters that are of concern to us all. 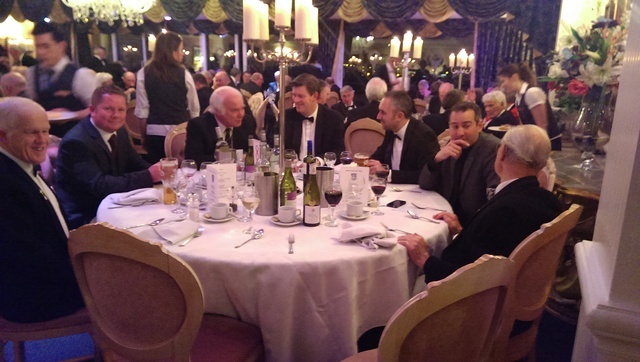 The night was then topped off by a superb performance from our entertainer Peter McGovern who had us all reeling in laughter with his sharp wit and humorous stories a great way to finish an excellent evening. 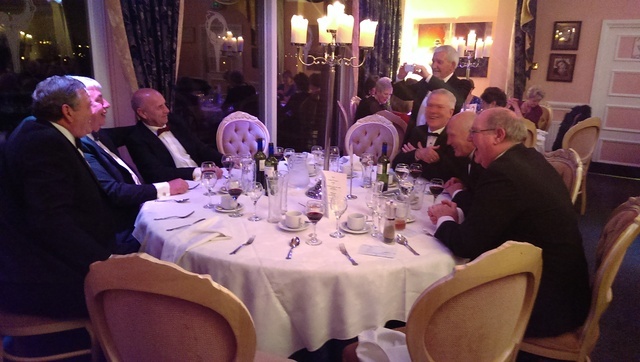 A great night and I look forward to greeting you all at the 27th Annual dinner planned to be held at Dudsbury on Friday 13th March so please make a note in your diary and I look forward to seeing you there.